The Austin Marathon means a lot of different things, but one of the best aspects of the race is its charity-driven tradition. There are 25 official charities that take part in Austin and raise funds, boosted in no small part by the Moody Foundation which matches all donations up to $10,000 for each charity. One of those charities is a personal favorite of mine: CureDuchenne. This Austin group raises money for research for a possible cure for something called Duchenne Muscular Dystrophy (DMD), a rare genetic disease that affects one in every 3500 boys born worldwide. In Central Texas, there are 10 known cases of DMD which causes muscle weakness in boys. Sadly, Duchenne is always fatal. For the 11th consecutive year, Tim Revell of Cedar Park will run the marathon in his customary green cape to raise money to fight DMD which both of his young sons have. In the previous 10 years, Revell says the fundraising efforts he has spearheaded has netted over $1 million for Duchenne research. Even though a cure for Duchenne hasn’t been found yet, at least two new treatments for boys afflicted with it are now being reviewed by the FDA. If you’d like to contribute, go to austinmarathon2016.everydayhero.com/us/ or go to the marathon home page and click through to charities. You can also go to www.crowdrise./timothys11thmarathon. Revell and some of the others running in the name of Duchenne are hoping to raise $10,000 in the marathon (which will be doubled by the Moody Foundation). The Duchenne group is also raising money through a walk/run as part of the Paramount Break-a-Leg 5-K on marathon morning. There’s a special registration process for the 5-K which allows for a donation to Duchenne and Revell is expecting 100 runners/walkers to take part. For more information about this worthy charity and this awful disease, go to the Duchenne Foundation website (www.cureduchenne.org). To learn more how to contribute to Duchenne research and support Revell and the other Duchenne runners in the Austin Marathon, contact him at timothy.Revell@standardregister.com. O My buddy Joe Huerta will—as usual—be on the starting line for the Austin Marathon on Sunday morning. Joe, a former aerospace engineer who later worked at RunTex, has run every Austin Marathon since the first one in 1992. He’s one of five who can make the same claim and all will be at the start line this weekend. Now 68 years old, Joe has also run every Cap 10-K. An amazing guy. O As noted, there are five runners who have participated in the previous 24 Austin Marathons. Douglas Yee, Rick Kaven, Steve Boone, and Tom McNelly will join the aforementioned Huerta on Sunday to mark number 25. O As part of the Austin Marathon weekend, two Golden Oldies—Steve Jones and Henry Rono—will be at Luke’s Locker (115 Sandra Muraida) from 1-2:30 on Saturday afternoon for a meet and greet. 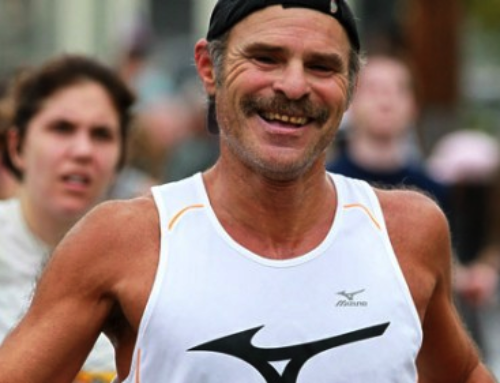 Jones, who has been here numerous times for the Austin Marathon, is a former world marathon record holder (2:08:05 in 1984) who won the Chicago, New York City, Toronto and London marathons in his heyday. One of the toughest runners on the planet, Jones also battled alcohol addictions. So did Henry Rono who set four world track records in the space of two months in 1978 while still a collegian at Washington State. O Please don’t forget to tune into KXAN (NBC) on Saturday at noon (Austin time) for the US Olympic Marathon Trials which will be televised live from Los Angeles. The men’s race begins just after noon with women to follow at 12:22. Conditions are almost guaranteed to be miserable in Los Angeles due to the mid-morning starting time (10 in LA) with temps at the start in the low 70s but expected to rise to 80 by noon. The top three men and women will be the first track athletes named to the ’16 Olympic team. This will be the largest field in Olympic Trials history with 373 entered, including Allison Mendez, Nora Colligan, Rory Tunningley, Allison Macsas, Will Nation and David Fuentes from Austin (as well as Scott MacPherson) and Andrea Duke and Anita Quirino from San Antonio. O The amazing Paul Terranova just keeps rolling along. The 42-year-old finished second last weekend in the Rocky Raccoon 100-miler in Huntsville—the USATF Champs–in 14:24, 39 minutes in back of ultra marvel Ian Sharman. Last year, Terranova won this race in 14:05. Sabrina Little, a great ultra runner who holds the 24-hour American record, was third overall in 14:55 and won the women’s division by a whopping 4 ½ hours. Little is in grad school at Baylor and lives in Waco. O Congrats to our friends Megan and Jared Carson on the birth of their first child last Saturday–Brady Ray Carson. 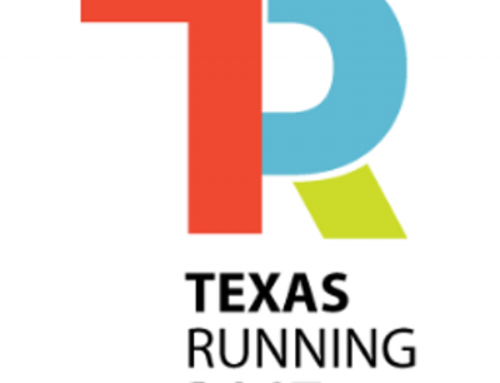 O The Texas Running Company on W. 5th Street has closed down. It opened in ’13, but faced stiff competition from Rogue Running and Luke’s Locker which are both nearby. The TRC at the Gateway Shopping Center remains open. O Guess there’s a world record for everything these days, but here goes another one. Calum Neff of Houston and his 11-month-old daughter Holland set a “world record” for a running stroller in a half marathon when dad pushed daughter to a time of 1:11:27 at the Katy Half Marathon on Saturday. Neff and his other daughter—three-year-old Allesandra—have run 15:43 for 5-K. Needless to say, the 31-year-old Neff has a great set of wheels. He ran 2:23:19 (sans stroller) at Houston last month and is planning on running the LA Marathon on Sunday without a stroller but says he might give the marathon record a shot in the future. The marathon stroller “world record” is 2:42:21. O What I’m listening to this morning: “Takin’ It to the Streets,” by the Doobie Brothers. I realize Doobie loyalists hated Michael McDonald and this first album with him as the lead singer, but I loved the more soulful approach. BTW: The Doobs, or what’s left of them, will roll into the Austin 360 Amphitheatre along with Journey at COTA on May 18th.